I love everything about Christmas trees: the fragrance, the lights and the ornaments of course! The Silhouette Challenge Facebook group organized a handmade ornament swap and I knew I had to join. We were paired up with a partner and encouraged to get to know our partners so we could make them the perfect ornament. My swap partner Karen owns several cats and volunteers at cat shelters so it was easy to come up with an idea for her ornament. 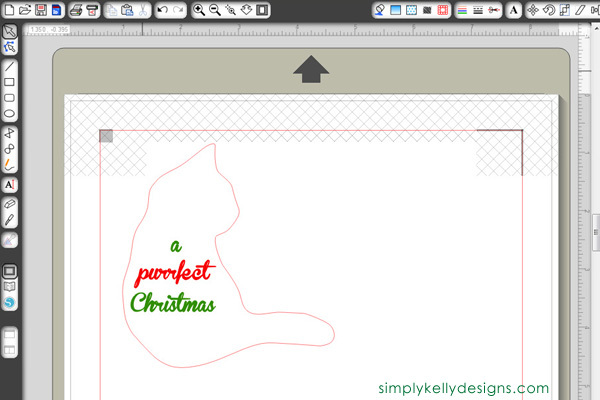 If you follow my blog, you know that I LOVE puns so I decided to make Karen “a purrfect Christmas” ornament. I know you just laughed! 1. Wrap ribbon around the cookie cutter. I found it difficult to push the spool of ribbon through the cookie cutter so I removed the ribbon from the spool and just gathered it up in a big ball. The ball of ribbon was much easier to work with. I added hot glue where I started the ribbon. I pulled the ribbon very tight and overlapped it slightly as I wrapped it. I used hot glue every once in a while and definitely anytime there was an abrupt change in the shape of the cookie cutter such as peaks or large angles. The bottom right photo in the collage below is how close I got to finishing the ornament with 3 yards of ribbon. Just the wrapped cookie cutter looked so pretty that I almost wanted to send Karen this simple wrapped ribbon cat. 2. 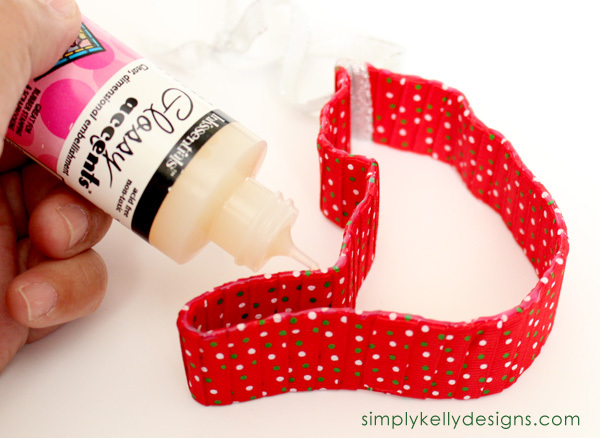 Create an outline of the ribbon wrapped cookie cutter. One side of the cookie cutter is designed to cut the cookie and is thinner than the grip side. We want to use the grip side DOWN in this step. There are two methods you can use at this point but both involve a scanner scanning at 300 dots per inch (dpi). Pencil method – Place the grip side of the cookie cutter down on white cardstock and trace around it. Scan the white piece of cardstock with the traced image. 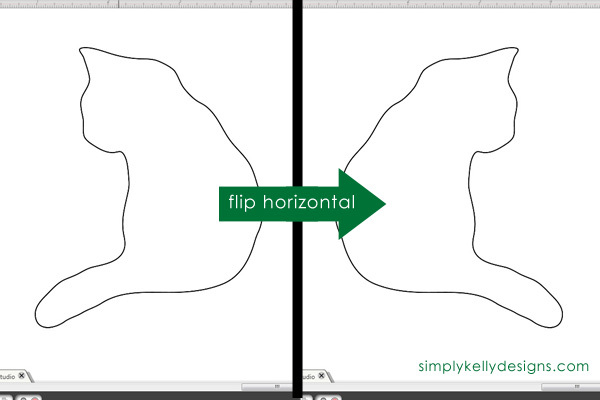 Adobe Illustrator method – Scan the ribbon wrapped cookie cutter (grip side facing down). 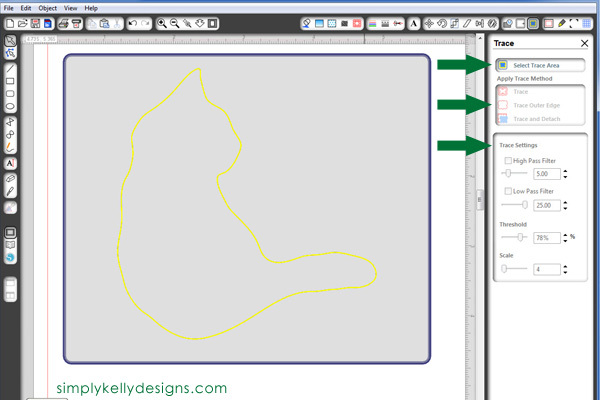 Import the image into Illustrator (File->Open) and then use the pencil tool to trace the outline of the pencil. I traced in the middle of the ribbon. Delete the scanned image but keep the pencil tool tracing. Export the file as a JPG at 300 dpi (File->Export and select JPG file type). 3. Create the cut file. Open the scanned image or the JPG file in Silhouette Studio (SS). The image should be true to size. The grip side is going to be the back of the ornament so we need to flip the image along the horizontal by selecting Object->Transform->Flip Horizontally from the SS menu. I want the text to be straight when the ornament hangs from the tree so I had to think about how the ornament will hang. My ornament has a natural peak for the cat ears so I rotated my cat image so the peak is at the top. Open the Trace window by choosing Object->Trace from the SS menu. Click on Select Trace Area and then outline the area around the cat. 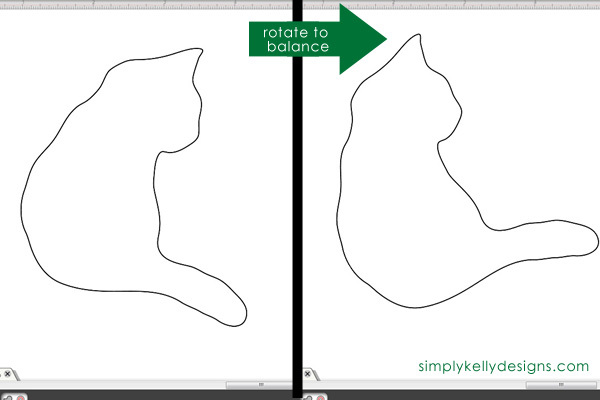 Adjust the Trace Settings until you get a good outline of the cat. I usually uncheck High Pass Filter and go from there. Then choose Trace Outer Edge to get a cut line. Delete the original JPG or scanned image. Add the “a purrfect Christmas” text. I used the Branboll Fet font. Turn on registrations marks by choosing File->Registration Mark Settings from the SS menu. Then check Show Reg Marks. Reposition the cat and text if needed so that they don’t overlap the registration marks. 4. Print the cut file and cut the paper with the Silhouette. Here are detailed print and cut directions for Silhouette Studio (SS) version 2. Open the cut file in SS. Place cardstock into the printer. Select File->Send To Silhouette from the SS menu. Choose Click here to print in the Print Image window. Select Continue to cutting page. Place the printed paper onto a Silhouette mat and load into the Silhouette. Select Detect Automatically. The Silhouette will now detect your registration marks so it will know where to cut the design. 5. Add the ribbon to hang the ornament. The ornament has a peak so it was natural to attach the ribbon there. I ran the ribbon through the ornament and made sure that both sides were even. Then I crossed one piece of ribbon over the other perpendicular to the ornament. This will ensure that the ornament hangs correctly on the tree. Double knot the ribbon on the ornament and then tie the ribbon ends together. 6. Adhere the paper to the ornament. As a scrapbooker, I am picky about adhesives. The cookie cutter isn’t that wide so I wanted to use a permanent adhesive that can be precise in its application. Glossy Accents is perfect for this with its precision tip. I quickly applied the Glossy Accents on the grip side of the cookie cutter and then pressed my paper onto it. I checked closely to make sure that the paper was flush with the ribbon. Voila! This purrfect ornament is ready to hang on your cat lover’s tree! I hope you liked the ornament I made you Karen! If you liked this ornament, you might also my other DIY ornaments. Click on the photo to be taken to its post. I also have two gift tags projects with free Silhouette cut files. Click on the photo to be taken to its post. And I’ve saved the best for last. 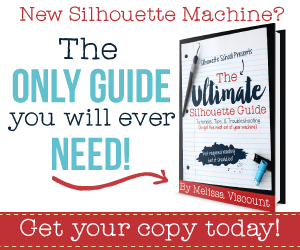 My Silhouette Challenge buddies in partnership with Silhouette America are hosting a mega-huge giveaway for not one…but two winners! The prizes up for grabs? 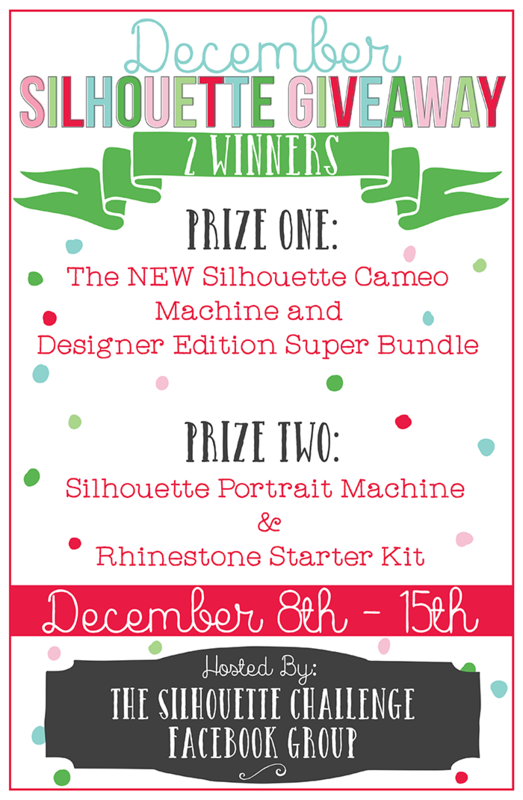 First prize: The NEW Silhouette Cameo Machine and Designer Edition Super Bundle! $406.93 value. Second prize: Silhouette Portrait Machine and Rhinestone Starter Kit! $219.98 value. Pretty sweet, huh? We want you to have the chance to get that Silhouette machine that might still be on your wish list. To enter: just complete the entries in the Rafflecopter widget below or at this link. Because of my many blog friends who helped make this giveaway possible, you have 42 potential entries, which means a lot of winning power. So, hurry up and enter! Disclosure: This post contains affiliate links. That means if you order through the links I receive a small commission. 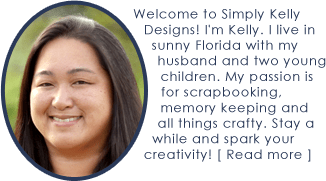 Thank you for supporting Simply Kelly Designs. So cute! Love your little pun too! Kelly, this is so fun 🙂 I love a good pun, too! And I also think that your idea to wrap the cookie cutter in ribbon is genius! I love the way it turned out! How cleaver! Great tutorial on how to make this step by step! I have never used the cut file but understand with your instructions! First of all, you know I love puns. Secondly, I’m a cat fanatic. Thirdly, any excuse to use my Silhouette makes me happy. So, you have a triple-threat combination of awesomeness here, Kelly. Fantastic tutorial (definitely pinning). Thanks so much for joining in on the December Silhouette Challenge and Giveaway, and adding so much creativity into the mix…as always. Excelent idea! 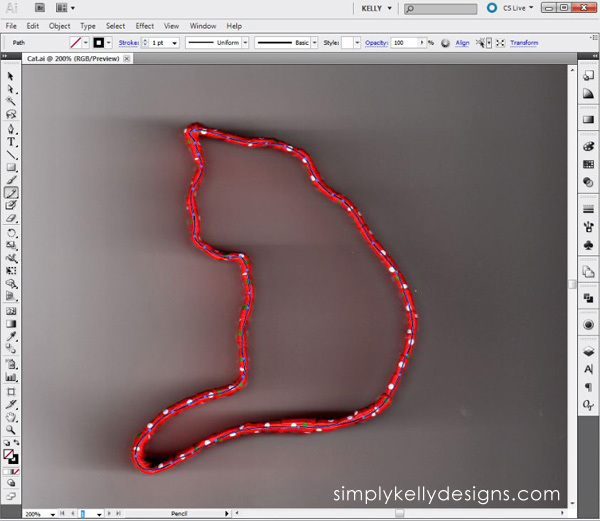 Thanks for the tutorial and more inspirations for ornaments, Kelly! Gorgeous! What a fun idea and yes, just perfect for cat lovers everywhere.